A spacewalk is nothing new to NASA astronauts Drew Feustel and Ricky Arnold. 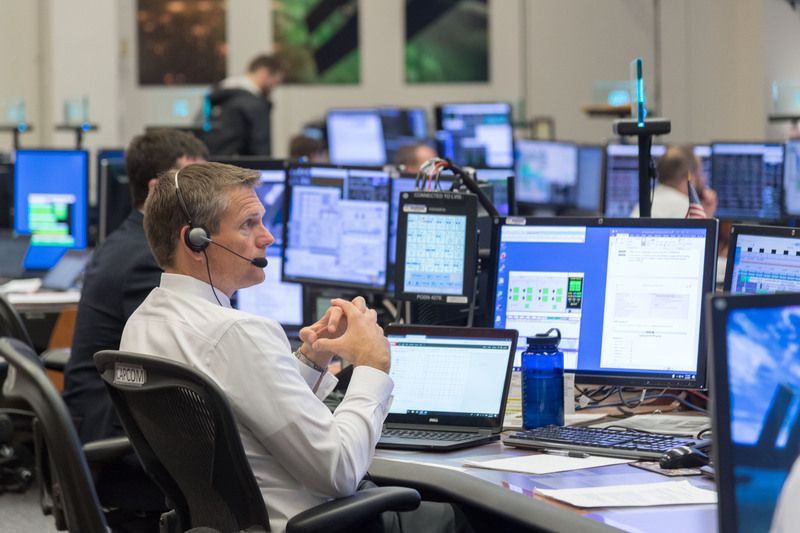 Today they will be working outside the Space Station for the ninth and fifth time respectively. Despite These veteran astronauts rely on the work from many people across the globe. ESA astronauts Alexander Gerst and Andreas Mogensen are on duty to give a helping hand both from space and on ground. 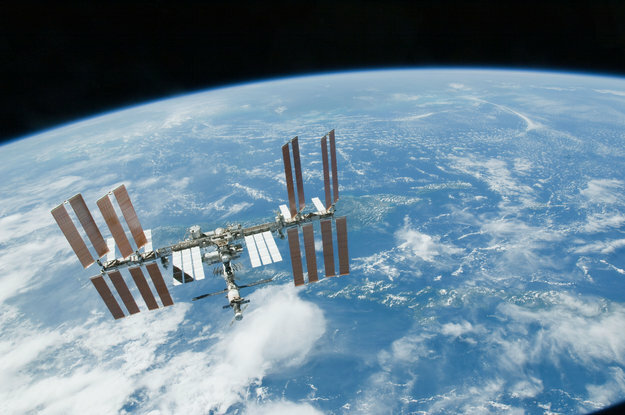 Drew and Ricky will install new high-definition cameras to provide enhanced views of spacecraft docking with the International Space Station. During the six-and-a-half-hour spacewalk the two astronauts will install brackets and the cameras near an international docking adapter mated to the front end of the Station’s Harmony module. This is one of two docking ports for future SpaceX and Boeing commercial spacecraft. The cameras will allow the crew to monitor the arrival of spacecraft and intervene if problems arise. During their spacewalk, the astronauts will also exchange a camera and work on an imaging experiment that is outside the Japanese Kibo module. Alexander and NASA astronaut Serena Auñón-Chancellor will help the spacewalkers in and out of their spacesuits. Once suited up the duo will enter the Quest airlock and begin lowering the air pressure. 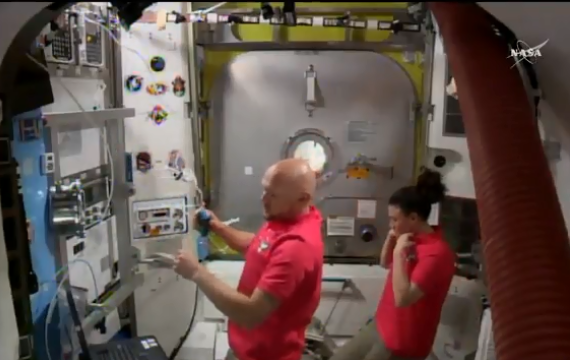 When they open the outside hatch, scheduled for 12:00 GMT (14:00 CEST), their spacewalk will officially begin. Alexander and Serena will operate the Station’s Canadarm2 robotic arm. The duo practiced the procedure earlier this week on a computer – the 16-m-long arm is used to move spacewalkers to and from the worksite on the starboard side of the Station’s truss structure. In the meantime, Andreas will play a crucial role at NASA’s Johnson Space Center in Houston, USA. He will keep radio contact to assist the two spacewalkers during the whole sortie. Andreas has been involved in the carefully-planned spacewalk from the very beginning. “In the past, when the Space Shuttle flew on short missions, Drew and Ricky would have performed the spacewalk up to seven times underwater to train for their real spacewalk,” explains Andreas. 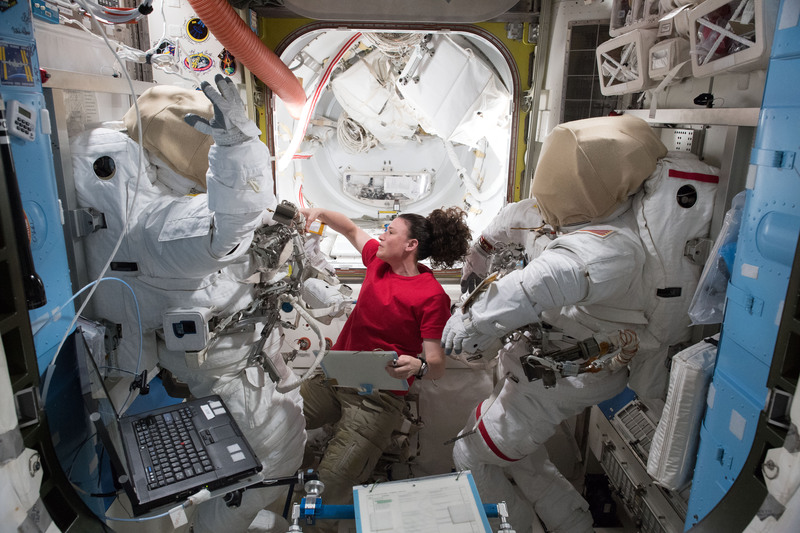 Nowadays, missions aboard the Space Station often last six months, and astronauts rarely have the opportunity to train for a specific spacewalk before their mission. The spacewalkers are assisted by an astronaut in the Mission Control Center, who helps develop the spacewalk and ran through the steps several times underwater. For today’s spacewalk, the ground-support astronaut is Andreas. His last simulation under water took place just a week ago and focused on emergency scenarios. The spacewalk will be the 211th in support of Space Station assembly and maintenance. Ich verfolge es jeden Tag aufs neue und finde es so interessant die Astronauten live bei der Arbeit zuzusehen . Viele liebe grüße, Justine K.
Why was Alexander Gerst’s flight to the ISS in 2014 only 6 hours, but this time 2 ½ days? Who decides on that and why?